Green Agenda – What Green Agenda? The candidates may not be quite of an “is féidir linn” quality but the Irish Presidential Election has been quite entertaining affair all the same. Issues and associations with ageism, suspect cheques, slashed tyres, dodgy letters, a well known cereal brand and membership of illegal organisations have heavily featured. Gay Mitchell is also running. In an effort to find out some information regarding the green credentials of the not so magnificent seven Google was trawled using a multitude of key phrases. 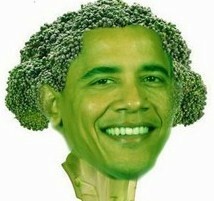 The candidates presidential websites were also visited but little joy was found. Some of the candidates must have more green merits than those outlined below so please add your comments. Sean Gallagher tells us he is campaigning for community, social inclusion (aren’t they kind of the same thing) and enterprise. 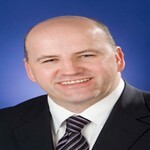 Made famous by the RTE TV Show Dragons Den Mr Gallagher has resisted (or has he?) a poster campaign which is a green plus and was involved in the campaign to get all the candidates to send their election leaflets together in one envelope which didn’t materialise. Speaking of envelopes…. 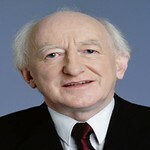 Michael D Higgins claims that he will be the President that will do us proud. The 70 year old whose working career started out as a clerk for the ESB has gone on to spend a lifetime in politics. 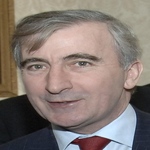 His main issues have always been education for the disadvantaged and the promotion of Irish Arts, Literature and Culture. His vision as president doesn’t touch on green issues at all instead it’s all about emerging for the crisis with a more responsible model of our economy and society. Like a number of candidates Mr Higgins has plenty of those posters up around the country which isn’t terribly green! 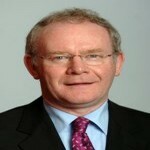 Martin McGuinness believes he will be the people’s President (is that not what it is all about?). Obviously an ever green on the Nationality issue but again real green issues don’t seem to feature in his campaign. Green tea and organic cheese and crackers with the Queen in years to come perhaps! 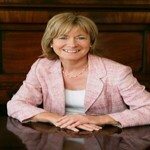 Gay Mitchell understands the past and believes in our future (whatever the hell that is supposed to mean!) On his website 16 key achievements over his 30 years in politics are listed but none have anything to do with green issues. Plenty of posters up but only in an effort to support struggling print companies! Tried to bring the Olympics to Ireland once upon a time. 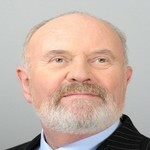 David Norris tells us it is not about voting for a new president but voting for a New Ireland. Not sure if that has anything to do with the Assurance Company but there is little doubt that he could teach us a thing or two about disability pensions. Again nothing on his site deals with or addresses green issues but we should all have a jolly good laugh for seven years with Norris at the helm. 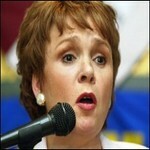 Dana Rosemary Scanlon one sang a song about natures finest and reckons she is a president you can trust. Very green in the Nationalist sense but other than the song doesn’t seem to be much substance on green issues. Will suffer with us for the next seven year though because it’s going to get worse and worse and worse…..
Say your prayers people of Ireland!